This new MatchKing will compete with Berger’s vaunted 180gr 7mm VLD. It will be interesting to see how the two 180s perform head to head. If you are shooting a 7mm at long range, you should definitely try out the new .284-caliber Sierra MK (provided your barrel has a suitable twist rate). For the hunting crowd, Sierra has released a new .338-caliber bullet and two new .257-caliber projectiles. The new .338 is a 225gr, soft-point, flat-base Pro-Hunter in .338 caliber. Sierra’s goal with this new bullet was to provide a lower-recoiling .338 projectile that still offers plenty of hitting power. For varminters, Sierra has introduced two new .25 caliber (.257 diam.) BlitzKing bullets, in 70 grain (Part #1605) and 90 grain (Part # 1616) sizes. The 70-grainer is a flat-base design, while the 90-grainer is a boat-tail. According to Sierra, these were created to provide enhanced long-range performance for 25-caliber varmint hunters. We predict the 90-grainer will also be an excellent target bullet. These bullets will be available in boxes of 100 bullets and 500 bullets as indicated below. 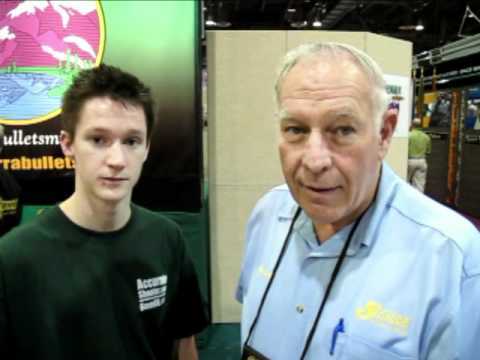 Share the post "SHOT Show Report: Four New Projectiles from Sierra Bullets"